One of the devices we haven’t yet done a full review on is the ASUS C423. There are a few reasons for that, but the biggest one is the availability of a better model in the wild with a better display that we’d rather give a test drive over the one we currently have in the office. Once we get it, we’ll be giving it the full review treatment. The C423 from ASUS we currently have shares an equally terrible display with its smaller brother, the ASUS C223. The TN panels in both the C223 and C423 have such poor viewing angles that it is nearly impossible to find a single angle where part of the screen isn’t washed out or inverted in color. The other drawback to both of these devices is N3350 Apollo Lake processors on offer. While I’ve never been much of a fan of that chipset, seeing devices being sold in 2019 with Apollo Lake chips just makes me sad. Sure, they are fine for the most basic Chromebook functions, but even kids doing simple tasks deserve better than that in my opinion. All that being said, I did like quite a few things about the C423/C223. First and foremost is the pricing. The larger C423 starts at $269, has a 14-inch display (the one we’re waiting to review has a better 1080p panel on it), a decent keyboard, and workable trackpad, small bezels, all day battery and a slim/light design. If you removed the terrible display, my only real complaint would be the poor Apollo Lake performance and that becomes forgivable at the price. 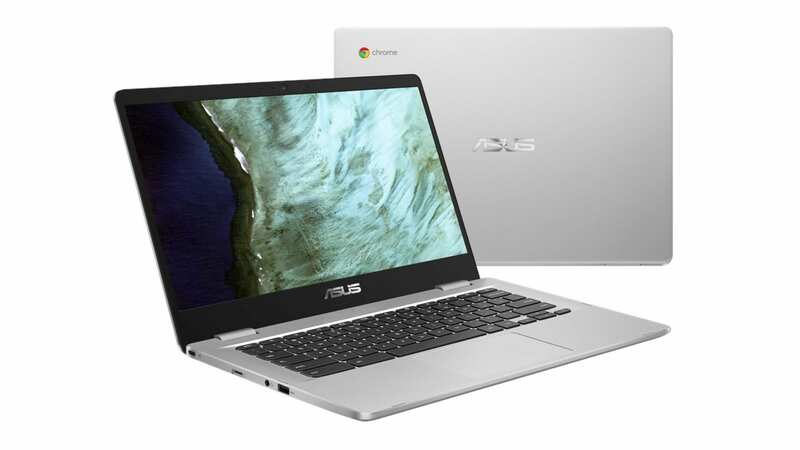 With what we saw on offer from ASUS at CES 2019, I’m finally in a position to say entry level Chromebooks are fast enough for most people. Where Braswell and Apollo Lake just let me down from a performance standpoint, Gemini Lake (their newest successor) looks to finally be getting to a real sweet spot of price, battery, and performance. With a solid 16,000+ on Octane, and some real world testing, it was clear after a little bit of time that these new processors are going to be great for any manufacturer that decides to make a Chromebooks using them. Additionally, ASUS has clearly stepped up its display game as well, opting for much-improved panels on the new Gemini Lake EDU Chromebooks we saw at CES. They aren’t the brightest things around, but their colors are great and veiwing angles are fantastic. My hope is that this becomes the trend for low end Chromebooks moving forward. Check out the video below to see them in action. In this commit I found a few days ago, there is clear reference to a model C424 from an author that is clearly an ASUS employee. Now, we don’t usually get notes this clear about upcoming devices with model numbers attached, but ASUS may not be keeping this one secret for too long. C424 would likely follow the C423 (their naming scheme has followed this pattern for years) and if you look at this commit, it is clear that this will be a Gemini Lake device based on the baseboard ‘Ampton’ listed in the commit. As Gabriel covered in his pre-CES ASUS article, ‘Ampton’ is the main baseboard that new Gemini Lake processors will be built from. I’d assume we’ll see a refresh of the C423 with a Gemini Lake processor inbound relatively soon. In general, this device might share the same body and basic build as the C423 and simply upgrade the processor. If that is the case and ASUS also uses the much-improved displays we saw at CES while keeping the price at its current low, we could be in for a real treat! Sure, ASUS could outfit this whole device with a much nicer shell, but my honest hope is that they stick with the budget feel. It has been tough for the past couple years to recommend affordable Chromebooks with a straight face as most models had awful displays, poor performance, goofy-looking builds, or a combo of all these things. With Gemini Lake devices coming, I hope to begin seeing more decent looking Chromebooks with usable displays and peppy performance hit the market. If so, the sub-$300 Chromebook category could be one to watch as 2019 continues to unfold.